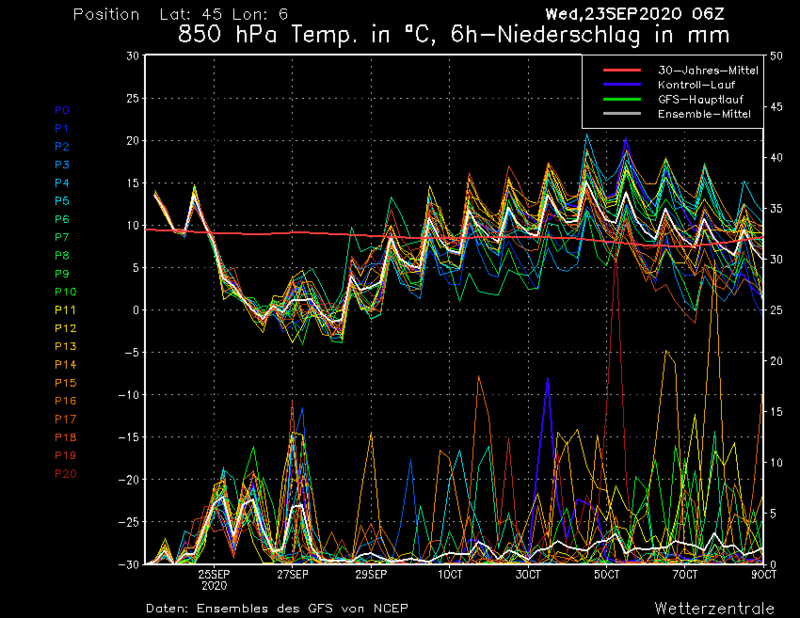 what just happened with ECM from 13/2 onwards for the west alps? Looking absolutely horrifying. @staffsan, that was one run... it means nothing really. It's been flicking from pretty much average temps to colder, to warmer. So it's all up in the air. Only time will tell what happens. Anyone know what has happend to my trusty go-to wiggles? Seems to have stopped from 4th Feb? @RetroBod, You could try this one - just change the lat/long to suit. Wow. Looks like summer next week? Yes, cant believe it. Looked so good just a couple of runs ago. Does anybody know whats happened in the models to cause this totally disasterous outlook? @staffsan, “totally disastrous” seems a little hyperbolic? Looks like some fresh snow for many places followed by a mild sunny period. If sunshine is the worst problem you are facing it’s not that bad. Next week could be the week of the season so far! Massive base, fresh on Sunday/Monday followed by wall to wall sunshine. What’s not to like? @nozawaonsen, yes, i guess im overreacting. Sunshine is ok, mild weather tho is the stuff that'd make me cancel my trips were it not for fixed work schedules. I think this weather forecast watching is not healthy for me mentally. Im constantly watching meteociel, yr, tropical tidbits, wetterzentrale, bergfex, j2ski, snowforecast and profiled meterologists on twitter. Everytime it looks like my skiing weeks are in for fresh snow and reasonable temps below zero i get all hyped up and when theyre not i just get sad. Sorry for blabbering, had some wine. Maybe, problem is im arriving the week after that when its all thawed/frozen and crusty! Oh dear. Probably all melted by then. Bring your swimming trunks? I have to say this has been a pretty good couple of weeks weather wise for me. I’ve had some pretty bad luck in the past so it’s about time! Last trip had two days in a row complete lift shut down due to wind. Thanks for this, I was wondering why they had stopped updating after the 4th as well. Looks like a top-up of snow Sunday/Monday. Hopefully not too much rain lower down to start off with. 4 weeks to my holiday, just hoping there isn't a massive heatwave until I get there! Maybe, problem is I'm arriving the week after that when its all thawed/frozen and crusty! Next week looks like a glorious one to me. Where are you off to just out of interest? Definitely a bit spring like today. Nice to feel the sun on your face. Won’t last long though, with snowfall to low levels early on in the week though sun coming through and warming up into next weekend. Yeah, i know it cant always be perfect but i still wish for it to be of course. Ive got two weeks off work and put almost a months earning into it. But i guess its like that for most of us? Im heading to Cham, my favourite place in the world etc! @staffsan, remember the old saying a good day at work is worse than a bad day in the mountains! Hah! Well thats pure wisdom! Beers & bikini tops, now that's my kind of ski holiday...though I do find the straps cut into my shoulders!! Still looking awful for all foreseeable future, and i cant even cancel my trips. How long do you think this high can last and why cant there be a temperature inversion like in dec/jan? Mate, if untracked powder isn't on the menu, slush is the next best thing. By far the most fun sort of snow to ski on piste. Far FAR better than wind-scoured re-frozen hardpack. Just get either wider skis or some lessons if you can't enjoy it yet. @staffsan, there’s going to be fresh snow in many places tomorrow. Then it’s going to be sunny in the mountains. Why don't you dig how beautiful it is out here. Why can't you say something righteous and hopeful for a change? @staffsan, what’s looking awful? Sunny and mild. Looks lovely to me! @staffsan, i will second that comment about hard packed pistes and at least there is still excellent cover. Night refreeeze returns by the weekend so spring conditions it is! Honestly, I have skied so much worse in Feb. Yeah we would all like some fresh either while we are there or just before, but probs not gonna happen this year. Long sunny lunches in the mountains, priceless. It's going to snow tonight, then it is going to be fine and sunny, milder but not excessively so. For visitors this week it should be excellent. For the following week, it's too far out for a reliable forecast so stop worrying. @nozawaonsen, hah, righteous! Let a man be weather depressed! @under a new name, the mild and dry, is whats awful. @clarky999, my skis are wide and its not that i find it too difficult, i just hate the feeling of it, the sensation of mushy slushy dying winter under my feet, and i hate being too hot and sweaty while skiing, i even dislike slush on a estethical level. @RetroBod, "probs not gonna happen this year"
And i dont care too much for the long lunches, i could eat porridge on tube as long as i get to ski. @RobinS, yes, the unreliability of the forecasts is a good thing right now But how can constant thaw in the valley be "excellent"? But anyways, sorry for the ultra negativity, its just my current state of mind, i'll keep quiet if you like me to! And still, weatherwise - how long do you think this high can or will last? Whatever happened to the SSW and disrupted polar vortex? And the NAO, why isnt it negative? Why are all these upside down? @staffsan, the SSW did happen, it did disrupt the polar vortex and it did produce some extraordinary cold weather, just in the eastern US. SSW’s don’t automatically result in deep cold in Europe. To do that you would have needed the sort of blocking you see with a very negative NAO. That hasn’t taken place and the NAO is remaining stubbornly positive. Awful, horrifiying, nightmare. These are words I’d use to describe when terrible things happen in life. Not when you are on holiday in the sunshine in the mountains. @staffsan, I am afraid your expectations are completely unrealistic then. The current situation is entirely within normal range. If there wasn’t a deep snowpack above ~1,400m I’d have sympathy. * my new heli-ski guide joke. @under a new name, haha! Pal, we are off to the Arlberg on Saturday ... I'm looking at the forecast and I'm thinking that it couldn't be much better ... a reasonable fall tomorrow and a period of mild, sunny weather. Pack your shades and just enjoy being where you are. @nozawaonsen, I wondered if anyone would get it.